In the aftermath of the 2009 crisis, the energy sector has been characterized by high uncertainty about prices and volumes. Three phenomena have further added to this uncertainty: the shale oil revolution, the financialization of energy futures markets, and the likelihood of a transition towards a low carbon economy, especially in the aftermath of the Paris Agreement, which was intended to make the use of renewables more attractive than that of fossil fuels. 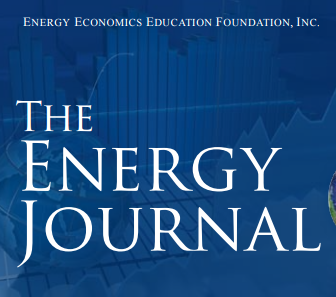 The papers in this special issue reexamine our understanding of how the energy sector works in light of these new developments. A common theme in many of these papers is the interdependence of markets. For example, fossil fuel markets are integrated with the broader economy, the growth of renewables depends on features of the electricity market, and anti-pollution policies interact with the pre-existing structures of the electricity market. The resulting spillovers and side effects have stimulated research on a wide range of topics.